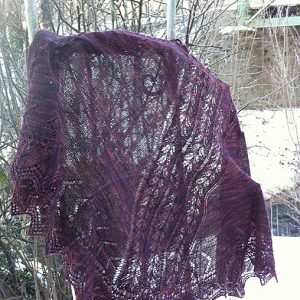 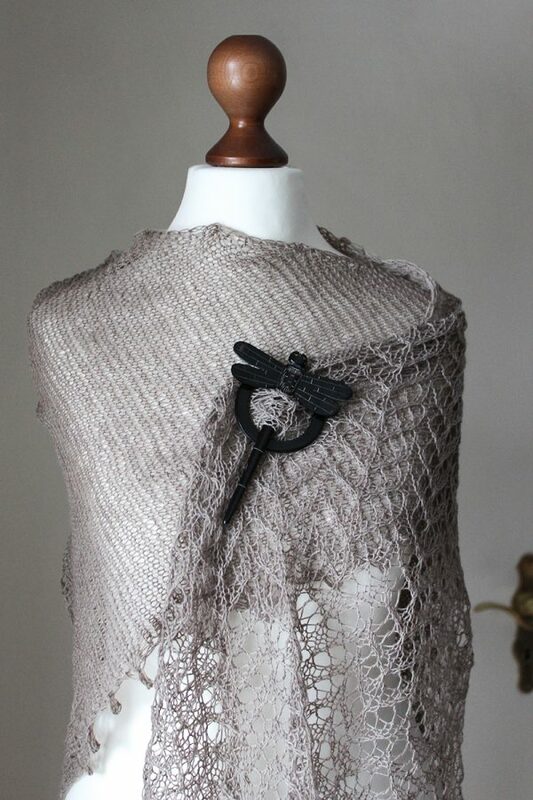 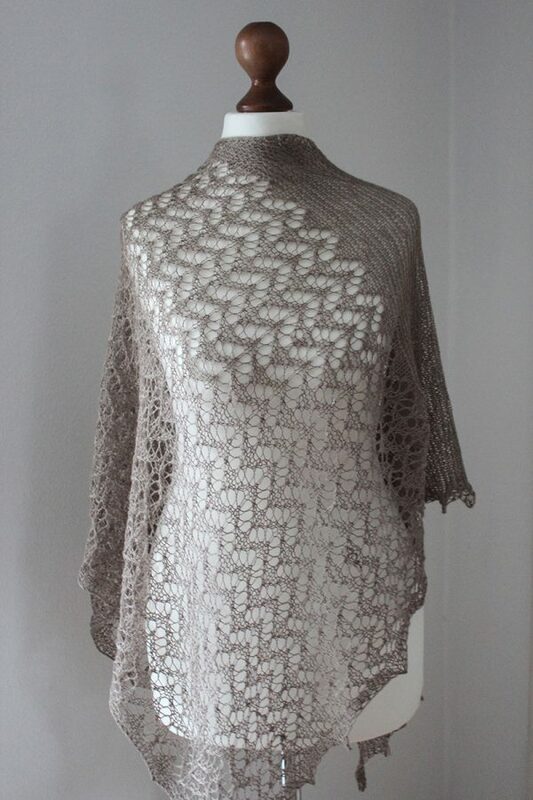 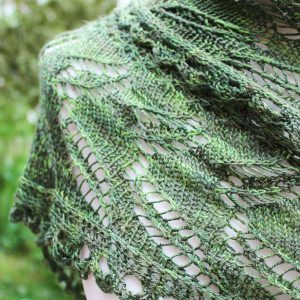 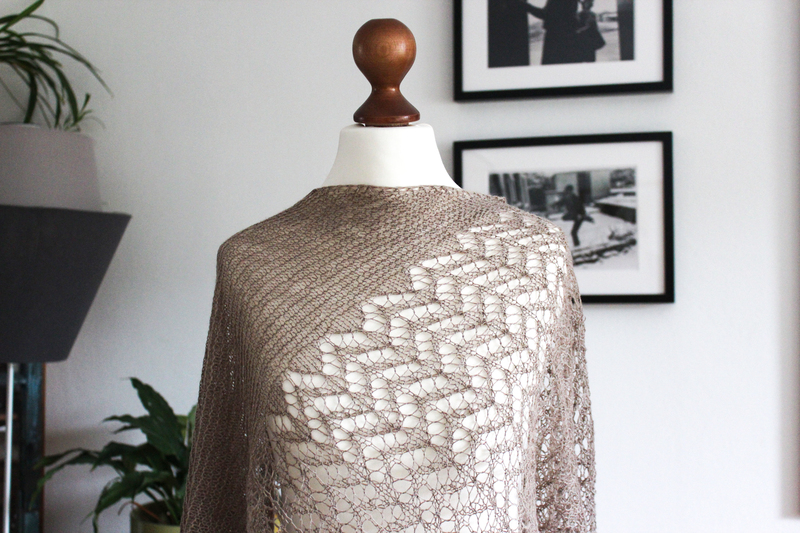 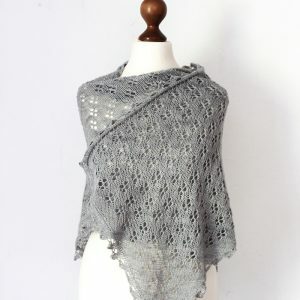 The Autumn in Grey shawl is a triangle worked sideways featuring garter stitch and an easy lace motif knit in lace weight yarn. 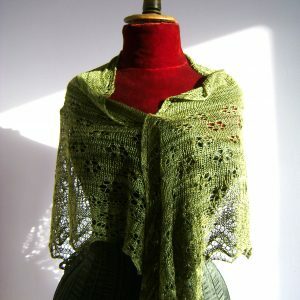 Solid or semi-solid colours show the pattern best. 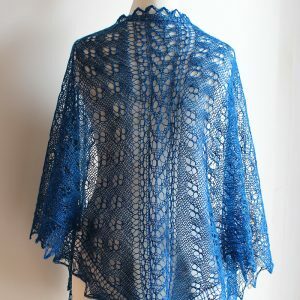 You can substitute any lace weight yarn for the suggestion given. 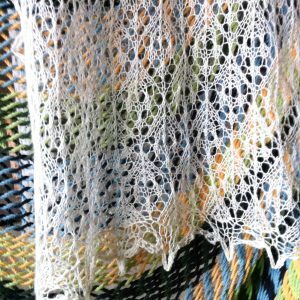 This is a charted pattern.